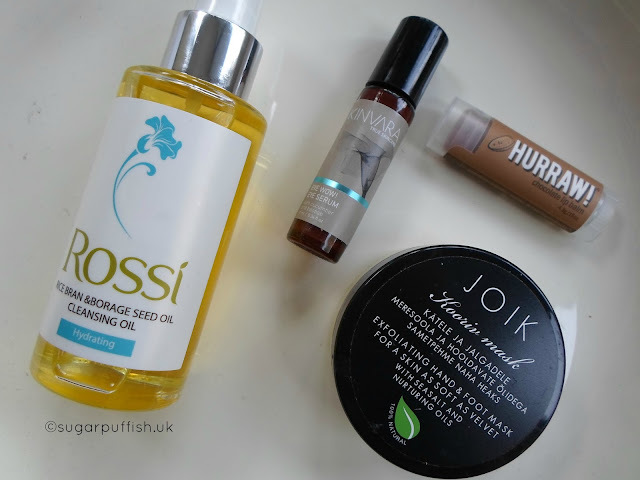 In January I selected the following products from Love Lula. Here are my thoughts after testing for the past month. I’m terribly lazy when it comes to taking care of my feet so I thought a foot scrub might spur me on to do something about it. The Joik scrub is made from sea salt which is coarse but bearable on my feet. It’s full of oils so you have to be extremely careful as it made my bath tub slippery and I needed to wipe off the excess using a towel. Super soft feet were the end results and it was nice to have a little pamper session. Final verdict....only disappointment was I miss read the ingredients thinking this scrub was vegan but it contains beeswax. This is not the first time I’ve tried a Hurraw balm, they are one of my favourite but I fancied adding a new flavour to my collection. Whilst it won’t replace a chocolate bar it does help lift my spirits when I’m trying not to give in to the demands of my sweet tooth. Hurraw balms are suitable for Vegans. Final verdict....love it and have repurchased these balms many times! Hi, I've been testing for the past month (as stated above = 4 weeks). I do have dark circles and the conditions mentioned above, I'm also 40 and don't class my eye area as "good". As always I like to provide readers with my honest opinions and sometimes a product doesn't hit the spot. I've tried the Rossi Oil and really liked it too though wasn't crazy about the marzipan smell - my food hell! For cleansing oils which I go through quickly I'm not fussed about it being in a clear bottle as 'preserving' it isn't so important. I've started to use eye creams in the past year and I've yet to find one that wows me or makes any difference so maybe I'm beyond help! oh no how can you say that about marzipan lol ;D I think I feel the same as you about eye creams, I try them every so often but always end up sitting on the fence about them.